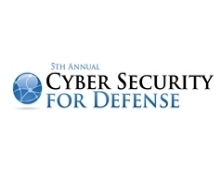 We are proud to bring you the 5th Annual Cybersecurity for Defense conference. At this years event we will cover these cutting edge threats and opportunities, from both a thematic and technical perspective. To do this we are curating a program that will include military cybersecurity leaders, technical experts, researchers, academics and industry members from both titans in the space and top disrupters. Come join us for three days of engaging topics, enlightening workshops and case studies, and peer to peer networking from across the DoD and greater Intelligence Community. Specifically this years conference will feature topics including cloud security, blockchain, AI, C4I security, quantum computing, protecting connected weapons systems and more.